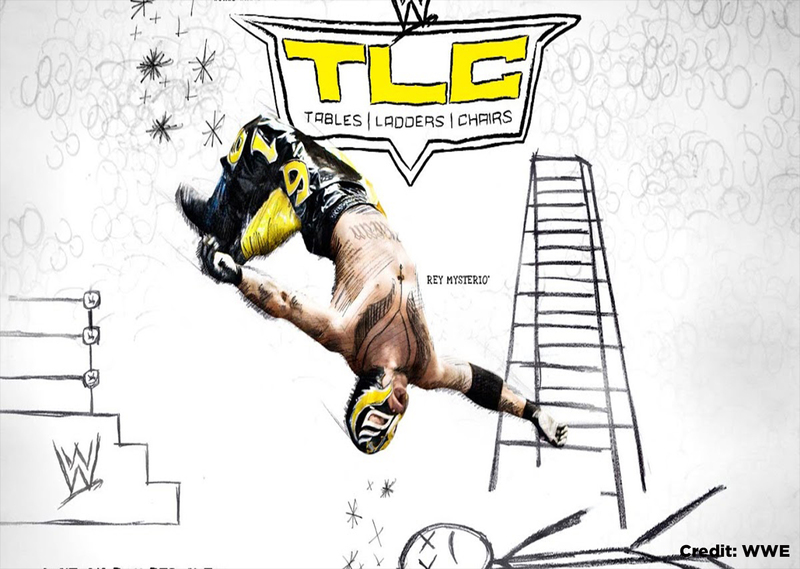 World Wrestling Entertainment (WWE) produced its first WWE Tables, Ladders and Chairs (TLC) pay-per-view (PPV) without its Extreme Championship Wrestling (ECW) brand in December 2010. A PPV stacked with a decent seven-match card, four of which were title matches and only one was a women’s match. Let’s take a look back at the card and where each individual is now. A triple threat ladder match that went just under nine minutes. Ziggler retain his title after Kingston and Swagger were at the top of the ladder fighting for the title, it fell and Ziggler punched on the title to retain. So where are these three now? 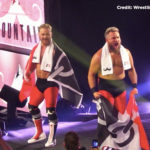 Jack Swagger – The only one of the three who isn’t still with the company, the 36-year-old was released from WWE in March 2017 and has since featured on the independent circuit and Lucha Underground. On the independent circuit, Swagger has gone on to win the 5 Star Wrestling Heavyweight Championship and the Imperial Wrestling Revolution Championship. Whilst in Lucha Underground he is the current Lucha Underground Champion after cashing in his Gift of the Gods Championship and defeating Pentagon. He also signed with Bellator MMA in November 2017 and is due to make his debut at Bellator 214 in January 2018. Kofi Kingston – Set to face The Bar and The Usos at this year’s TLC, Kingston has moved on significantly since 2010. 2014 looked to be the year that revolutionised Kingston’s career, forming the New Day with Big E and Xavier Woods. As part of the New Day Kingston became the longest reigning tag team champion. Dolph ZIggler – Another man who has most recently found himself as part of a team, Ziggler has had several face and heel turns since 2010 and won multiple championships in between. The oldest of the three competitors (38), Ziggler has won 11 titles under his current gimmick and one as Nicky in the Spirit Squad. A match that lasted roughly nine minutes and 20 seconds, the team of Beth Phoenix and Natalya defeated LayCool after Natalya push her opponents onto a table and put them through it via a big splash. Four women arguably responsible in some way for the future ‘Diva’s revolution’, where are they now? Beth Phoenix – Now retired, the 38-year-old is currently a colour commentator for the company on WWE Mixed Match Challenge, she has also commentated on the Women’s Battle Royal at WrestleMania 34 and for the 2018 Mae Young Classic. Phoenix was inducted into the WWE Hall of Fame in 2017, becoming the fastest female to be inducted after her retirement. Since her retirement, she has competed for the company on one occasion – entering the first ever Women’s Royal Rumble in 2018. Natalya – The only individual of the four to still be part of the company, she will again feature in a tables match at this year’s event when she takes on Ruby Riott. The 36-year-old has had several storylines since 2010, most notably in 2012 when she has a flatulence problem. She has had several face and heel turns, and most recently she is appearing as a face, aiding Ronda Rousey. Layla – London born Layla retired from wrestling in 2015. Since retiring she hasn’t done much since retiring and has kept her private life quiet. Michelle McCool – The 38-year-old left WWE in 2011 after losing to Layla in a ‘loser leaves WWE match’. She has since returned to compete in the first ever Women’s Royal Rumble which she holds the record for the most eliminations – five. McCool most recently featured in the all-women PPV – WWE Evolution as a battle royal competitor. The second tag match of the night, it went just under six-and-a-half minutes ad ended by DQ after Michael McGillicutty (now Curtis Axel) chop-blocked Santino. The aftermath resulted in The Nexus attacking Marella and Kozlov. Santino Marella – He left WWE in May 2016 following several neck injuries. Marella has since gone on to wrestle one last match at Destiny Wrestling, teaming with Chavo Guerrero Jr. Since May 2018, using his real name Anthony Carelli, he has hosted Behind the Lights with George Iceman on Impact Wrestling’s Twitch channel. Vladimir Kozlov – Released in August 2011, Kozlov wrestled for the Japanese promotion Inoki Genome Federation before retiring in October 2012. Following his retirement from wrestling, he has been focused on acting. The 39-year-old appeared in season 7, episode 4 of Burn Notice. He was also a Stuntman in Fast & Furious 6, and for John Wick 2. He then got his biggest acting break in the 2017 Chinese Blockbuster Wolf Warriors 2. In 2014, he created Quasar Entertainment, a production company where he’s the company’s vice president. Heath Slater – Multi-time tag team champion Heath Slater is still under contract with the WWE, his most recent storyline is as a referee thanks to Baron Corbin. Justin Gabriel – South African Gabriel left the company in 2015, he has since featured in the independent circuit, Total Nonstop Action (TNA), Lucha Underground and National Wrestling Alliance (NWA). He has held multiple championships since leave WWE, most notably the GFW NEX*GEN Championship, the GWF Berlin Championship, the SWE Tag Team Championship, the TNA King of the Mountain Championship and the Lucha Underground Trios Championship. In 2017 Gabriel lost a finger in a base-jumping accident. A match that lasted just over 19 minutes, Morrison was victorious by kicking Sheamus in the face and pulling down the contract. These two have had decent careers since, but where are they now? John Morrison – He left the company in 2011 to focus on healing his body and more creativity of his storylines. He has featured on the independent circuit, Lucha Underground, AAA and Impact Wrestling. Morrison has held multiple championships on the independent circuit and for the promotions, most notably the WWFX Championship, the FWE Heavyweight Championship, the 5 Star Wrestling Championship, three championships in Lucha Underground and AAA, as well as being the current Impact Wrestling World Champions. Sheamus – The Irish born wrestler is still under contract with the company, he is the current SmackDown Live Tag Team Champion (with Cesaro) and as The Bar, will defend their titles against The Usos and The New Day at this year’s TLC. 13 minutes and 40 second in total, this WWE Championship match was won by champion – The Miz after Orton powerbomed Riley through a table, allowing Miz to hit the distracted Orton with a Skull Crushing Finale and dragging his body onto the broken table for the referee to give Miz the win. However, the result was overruled and restarted only for The Miz to win again, this time by pushing Riley into Orton who was on the ring apron, he then fell off it and went through the table. The only match on the card where both competitors are still under contract with the company. The Miz will not be featuring on this year’s card, but his 2010 opponent will be. Orton will face Rey Mysterio Jr in a Chairs Match. The longest match on the card – 22 minutes and 45 seconds, Edge was victorious after spearing Kane through the middle rope, resulting in him going through a table and Edge climbing the ladder to claim the championship. Four main eventers and the time, but what are they now? Edge – Forced to retire in 2011 due to a neck and spinal injuries. 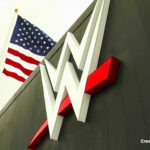 He has since made occasional appearances on WWE TV confronting multiple superstars and hosting numerous Cutting Edge shows. He was inducted into the 2012 Hall of Fame by Christian. Outside of wrestling Edge has worked as an actor on different shows and podcasts with Christian. Kane – The mayor of Knox County, Tennessee and a part-time wrestler with the company still, Kane has had several storylines and changed from Kane to Masked Kane, to Corporate Kane and back to Masked Kane. Now 51, Kane last appeared at WWE Crown Jewel teaming with The Undertaker in a losing effort against D-Generation X.
Alberto Del Rio – He initially left WWE in August 2014 before returning the company in October 2015 before leaving again in September 2016. He has featured on the independent circuit, for ROH, AAA, Impact and has held the AAA Mega Championship, the Impact Wrestling World Heavyweight Championship and the GFW Global Championship to name but a few titles since his WWE departure. Rey Mysterio Jr – Mysterio returned to WWE this year and will be featured at this year’s event against Randy Orton in a Chairs Match. The main event of the evening went 19 minutes and 10 seconds with Cena coming out on top after hitting Barrett with an AA onto several chairs. The main men on the night but how much of a main attraction in the wrestling business are they now? John Cena – Movie star and WWE part-timer, Cena has had some career since this 2010 PPV. He has since equalled Ric Flair’s record as a 16-time World Champion, and has featured in several Hollywood films, his latest – Bumblebee is set to be released on December 21st 2018 in the US. Wade Barrett – He was released by WWE in May 2016 and initially chose to focus on an acting career rather than a wrestling career when leaving the company. He has starred in Eliminators in 2016 and I Am Vengeance in 2018. Barrett made brief appearances for independent wrestling company Defiant Wrestling – acting as their general manager before relinquishing himself from the role. He has also featured on ITV’s World of Sports Wrestling as a commentator, but most recently Barrett appeared on a promo video for Lucha Underground – seemingly stating he his now signed to the company. So, these 21 wrestlers and ex-wrestler have all had different ventures in the last eight years, some of which unexpected, some of which unfortunate, and some of which more lucky than others. It will be interesting to see where some of these wrestler’s careers go in the future, will we see some more surprises on the horizon?